It’s beginning to look (and feel) a lot like the holidays. Ralph’s coffee bar is steps away for hot chocolate and virtual reality fans can sit inside cozy snow pods and experience a virtual sleigh ride. Cult-favorite seltzer brand La Croix has its own bar – made of ice – where gratis bubbly beverages are served. There’s no better way to celebrate than by a shopping adventure at the New York holiday markets for unique items and artisanal gifts and crafts. Union Square Holiday Market, an open-air holiday market, houses more than 150 vendors lining winding aisles in the square’s South Plaza, drawing thousands each year. Visitors will find an upgraded look with new sub-sections such as “Little Brooklyn” a lounge and warming station, a children’s art studio with crafts and live musical guests throughout the season. Over on the Upper East Side, The Columbus Circle Holiday Market is legendary for its food offerings as well as gift shopping. New this season is its “Holiday Lounge” featuring phone charging stations, photo booths and hot beverage samples. The Grand Central Holiday Fair, located indoors in the grand historic train terminal, focuses on American-made and handmade products with locally-sourced materials. Bryant Park’s Winter Village is one of the prettiest and most centrally-located, surrounded by a skating rink in the middle of Bryant Park for the most magical atmosphere. On Madison Avenue, Canadian outwear label Mackage landed at number 814. Thomas Pink at 520 Madison has undergone a major renovation, unveiling a new store in time for the holiday season. Gemma by WP Diamonds is coming to 485 Madison Avenue featuring one-of-a-kind designer and diamond jewelry. Grand Central Station’s holiday market is in full swing. New York City footprint, creating another small-format tri-level store at 1865 Broadway. 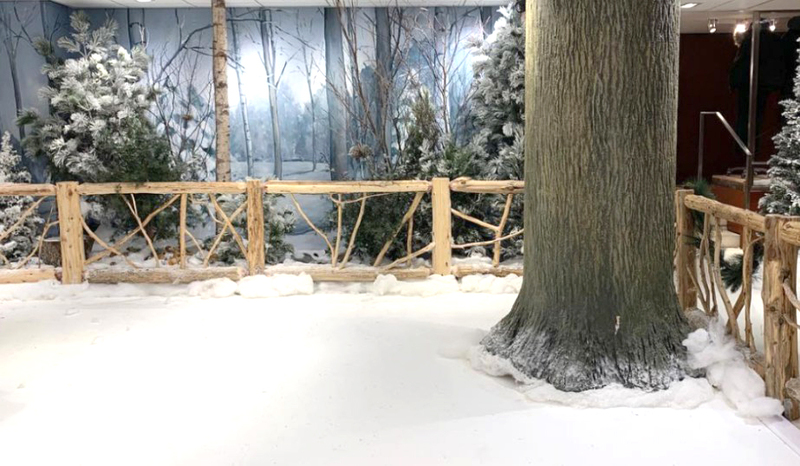 In the Flatiron District, BuzzFeed took 110 Fifth Avenue, for its new store Camp, a toy store with a twist, featuring children’s’ toys and an experiential area designed for social media photo sharing that will change its theme throughout the year. In Union Square, Filson, the American heritage outdoor lifestyle brand, has announced it will open a second New York location at 876 Broadway. In SoHo, Perfumania is reinventing and relaunching at a pop-up space called Fragrance Destination, 542 Broadway. Athleisure brand Terez unveiled its first immersive and interactive pop-up at 158 Mercer Street. Online beauty brand Glossier’s second and largest permanent shop at 123 Lafayette Street offers a new layout which serves to enhance the user experience, both in the store and online; the beauty brand is implementing experiences such as a “wet area” where customers can test out products as they would in their own home. Fashion brand The Arrivals has launched its third annual holiday experiential pop-up in collaboration with tech company Dyson at 67 Greene Street for a futuristic concept store offering design-focused gifts. Home décor and furniture brand One Kings Lane has opened its flagship at 143 Spring Street (at Wooster Street) offering a range of styles and price points with access to a breadth of a curated assortment intended to feel like a New York apartment. In NoHo, Gwyneth Paltrow’s lifestyle brand Goop has opened its first permanent store on the East Coast, Goop Lab offering ready-to-wear fashion, jewelry and the brand’s beauty and wellness products at 25 Bond Street. In The West Village, French handmade jewelry brand Atelier Paulin known for its special technique of hand shaping precious metal wire, recently debuted at 23 8th Avenue. In the Meatpacking District, Parisian-based brand Zadig & Voltaire gets a makeover, celebrating the reopening of their shop, 831 Washington Street. French luxury brand Dior has popped up at 400 West 14th Street.